I must say, I absolutely love my Cake Pop maker! I have not posted a lot of crafts and recipes using it, but they are on my list of things to do. I posted these yummy chocolate muffin bites a while back that are perfect for breakfast, and a personal favorite of mine! 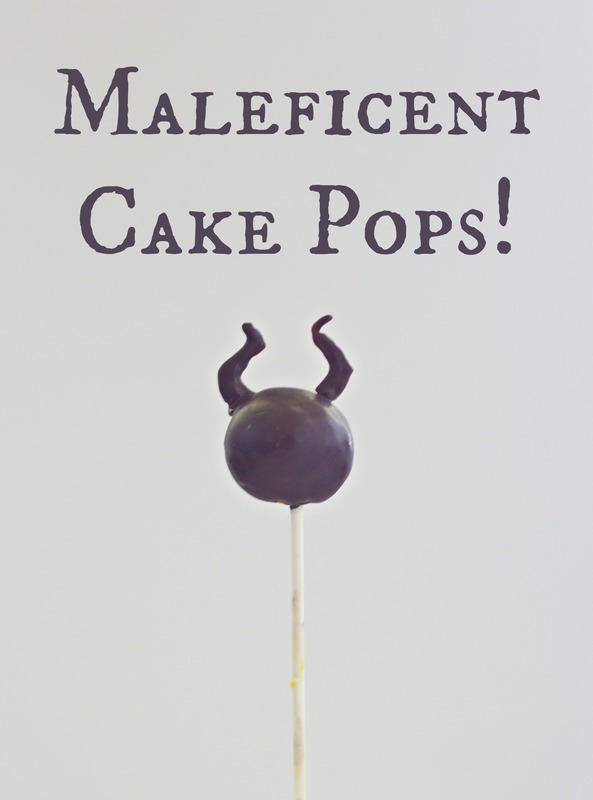 But, since the move Maleficent seems to be popping up (no pun intended) all over my news feed lately, I thought I would do something fun for the kids and make these Maleficent Cake Pops! Even if you are not crafty, these are simple to make. If you don’t have a cake pop maker, you can easily do this with a cake or cupcakes as well! *If you are making these into cupcakes, you will need black food coloring to color the frosting with. 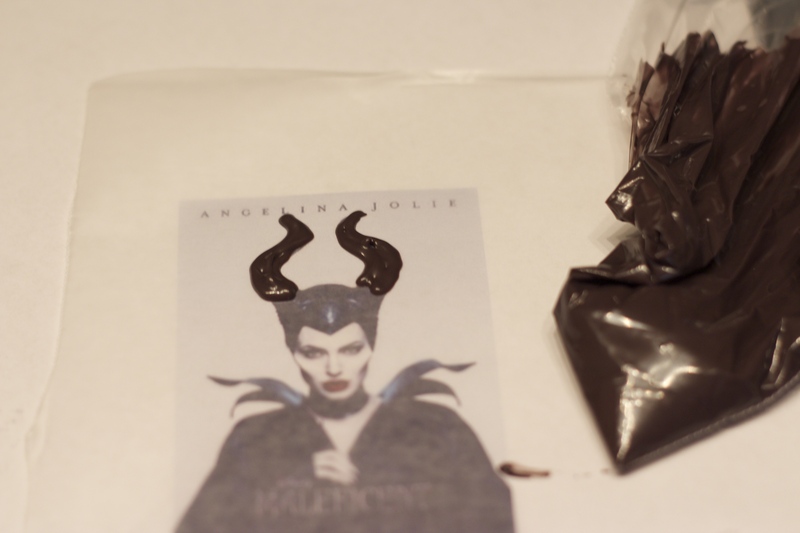 Melt the chocolate according the directions and transfer 1/4 of it to a piping bag. Snip a small hole at the end, the smaller the hole, the easier this process is. 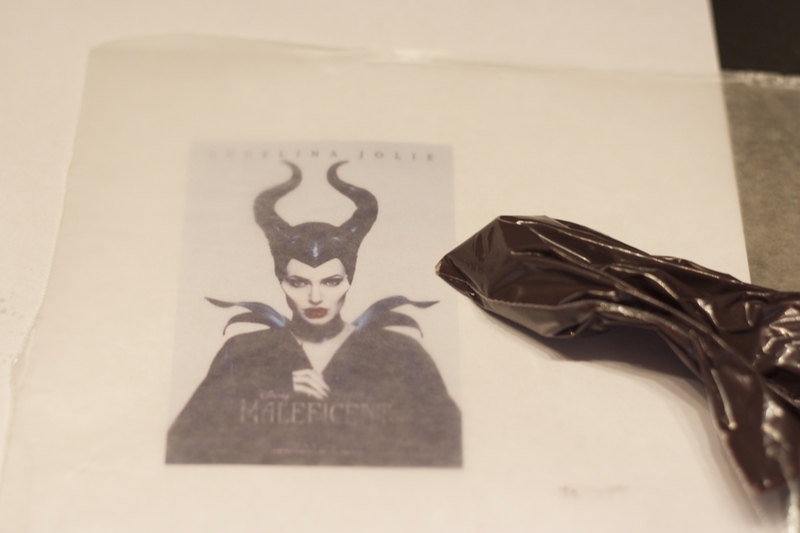 Now, you can get all artsy and free hand the iconic Maleficent horns onto your wax paper, or you can do what I did and print out an image and place it under the wax paper as a guide. If you are using an image, simply trace out the horns and fill them in with chocolate. The thicker you make the horns, the easier they will be to handle when it comes time to transfer them to the cake pops. Place horns into the refrigerator to set while you dip your cake pops into the remaining melted chocolate. Tips to a Perfect Pop! 1. Before placing sticks into cake, dip the end into melted chocolate and allow to set. This will prevent the pop from falling off in the chocolate. 2. Add 1 tsp of shortening or coconut oil to the melted chocolate before dipping, this will allow for a smoother finish. 3. It is okay to double dip! Once you have dipped your pops once and they have dried, give them another dip to ensure a good smooth coat. 4. Avoid laying cake pops down on wax paper while wet. Use a piece of styrofoam to stick them to stay up right. This will keep them round, and allow for any excess chocolate to fall off.